Web browser made by Apple for the Mac. Easy-to-use open source Web browser by Google Inc.
Quickly browse the web without slowing down your Mac. The Opera browser offers a personalized, fast, and secure navigation experience. A feature rich web browser that is fast, functional and flexible. Mega Sync Client allows you to sync your computer with your Mega cloud drive. Read, Organize and Archive electronic mail and newsletters. Google Notifier keeps you up to date with notifications of new mail and events. Easy-to-use tool for managing e-mail accounts. New mail client designed for Yosemite. This program is an email client developed for Mac. Comprehensive and free suite of business applications. Very nice open-source productivity suite. It is a set of visualization products and document exchange technologies. Edit, print, and convert your PDF files with just a few clicks. View, edit, convert, and print PDF documents on your Mac. Read, annotate, share, and convert your PDF documents. This app helps you create, edit, and convert PDF files. The primary download link for this listing is the native build. Easy-to-use application designed for creating and editing vectors. A program for generating HDR pictures on your Mac. Its awsome for manga and anime images as well as other photo editing. Powerful compression tool with many integrated additional functions. FDM allows you to download files up to 10 times faster. Free BitTorrent client for the Mac. BitTorrent client, content downloader, and video player all-in-one. Light and reliable peer-to-peer client for sharing information. Open-source download manager written in Java. Send instant messages, share files, and hold video conferences. Communication app that lets you enjoy free messages and voice calls anytime. Send messages, exchange files, and make voice and video calls. Messenger app based on the MTProto protocol. Watch your favorite movies and listen to your music from one app. Simple yet helpful music players designed for Macs. Very complete multimedia player and manager for Mac OS X. Play your favorite movies and music, preview images, etc. It is a free software program that works as a media player. 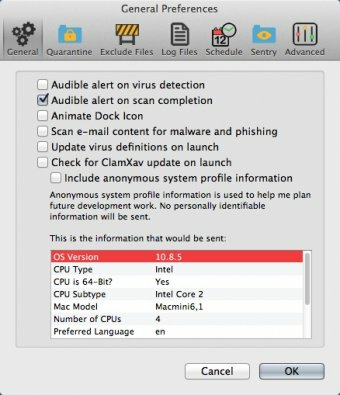 Mac Informer shows updates for all of your installed applications. One of the most popular instant messaging tools in the world. It's the fastest and most elegant tool that allows you to download files from the Internet up to 10 times faster. With Mountain Lion, the Game Center social gaming network is now on the Mac, so you can enjoy games with friends who have a Mac, iPhone, iPad or iPod touch. The Maps app lets you use every pixel of your display to explore new destinations, and it takes full advantage of the graphics power of your Mac. Microsoft Office is a commercial office suite, consisting of a number of interrelated applications and services.